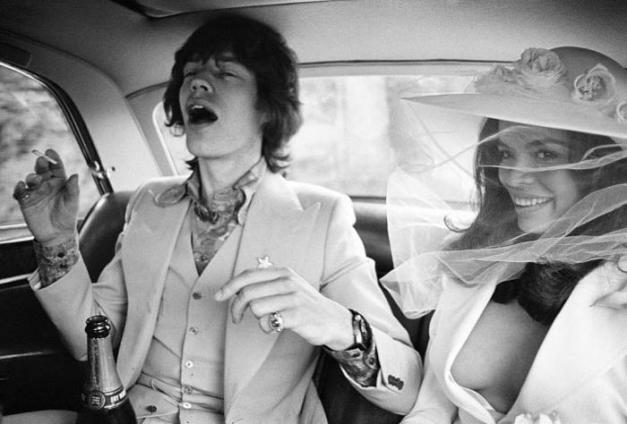 On this day in 1971 Mick Jagger and Bianca Pérez-Mora Macias were married in a Roman Catholic ceremony in Saint-Tropez, France. Bianca was Mick’s first wife and the couple had one daughter together, Jade Sheena Jezebel Jagger. In May 1978 Bianca filed for divorce on the grounds of Mick’s adultery with model Jerry Hall. Bianca later said “My marriage ended on my wedding day”. Entry filed under: On this Day. Tags: On This Day In Music. Strangely the one thing I took away from the documentary “Being Mick” (2002), was that Kate Winslet came off as a lame shallow starlet, compared with her glowing manifestation seen in Vanity Fair et al.